Cervantes is a very small beachside village with a population of just under 500. The town was named after a ship that was wrecked nearby. The principle industry in Cervantes is fishing, mainly Western Australian Lobsters. 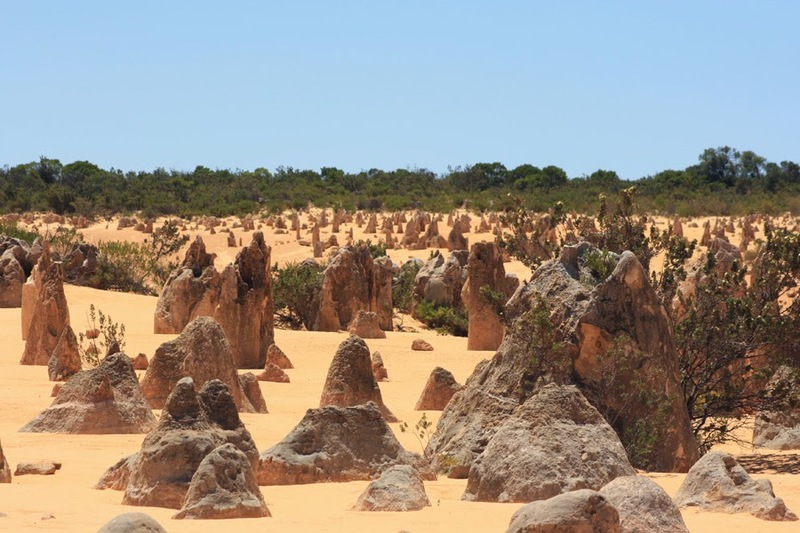 The main attraction in this area are the amazing Pinnacles in the nearby Nambung National Park. I was amazed when we got there just how big the area was that the Pinnacles covered and also that we could drive through them. 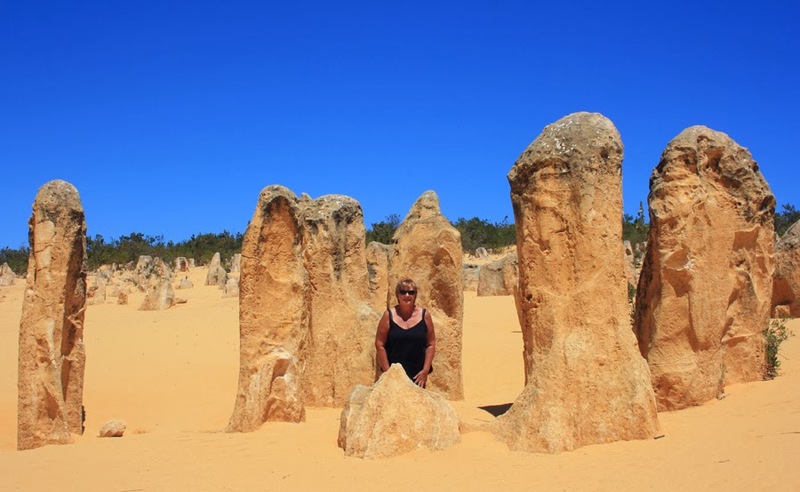 The Pinnacles are made from limestone and over thousands of years Mother Nature has created them into various shapes and sizes. Apparently there a several streams of thought as to how they were formed, all I know they are pretty amazing. 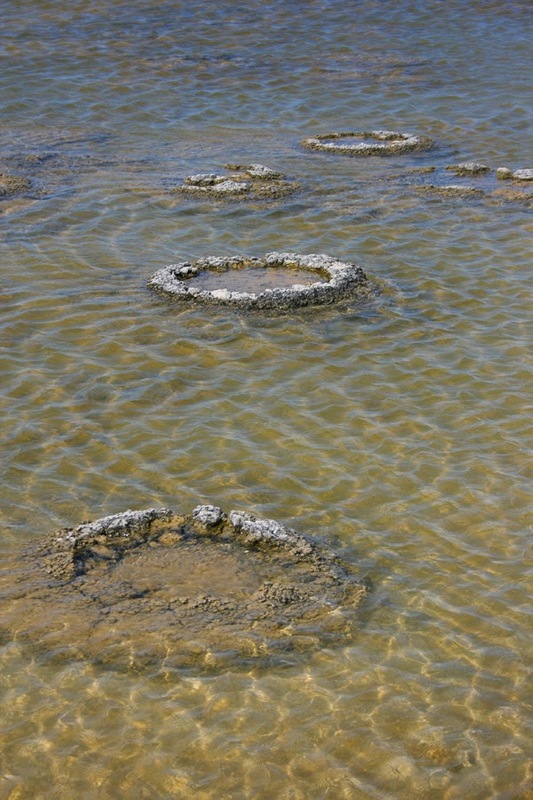 Closer to Cervantes but still part of the National Park is Lake Thetis, which contains stromatolites. 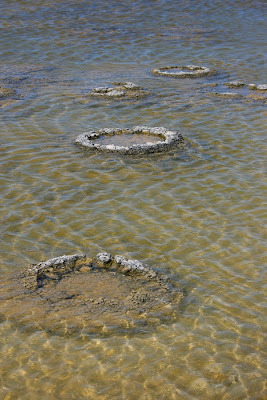 For my regular readers you may remember I saw other stromatolites back in Shark Bay. These ones are different shapes and a lot easier to see. Sort of reminded me of burst pimples! 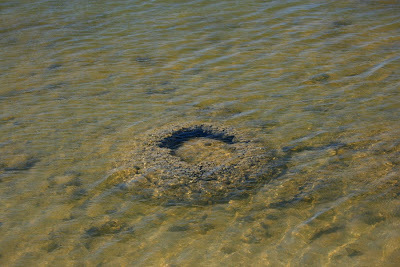 As we were walking out the see the Stromatolites Shane stopped and said - Is that a Snake? 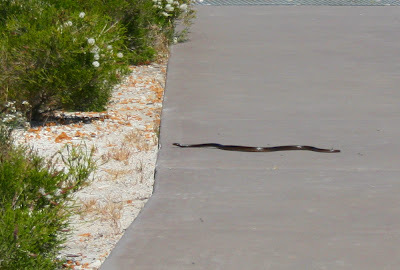 I was to busy looking around the surrounds and didn't see it slithering across the path in front of us. I freaked out a bit as I am very very scared of snakes and this one was a Brown Snake which is very deadly. The snake that freaked me out - he was at least 5 foot long!! !